My photographs were featured in the April edition of FX Magazine. 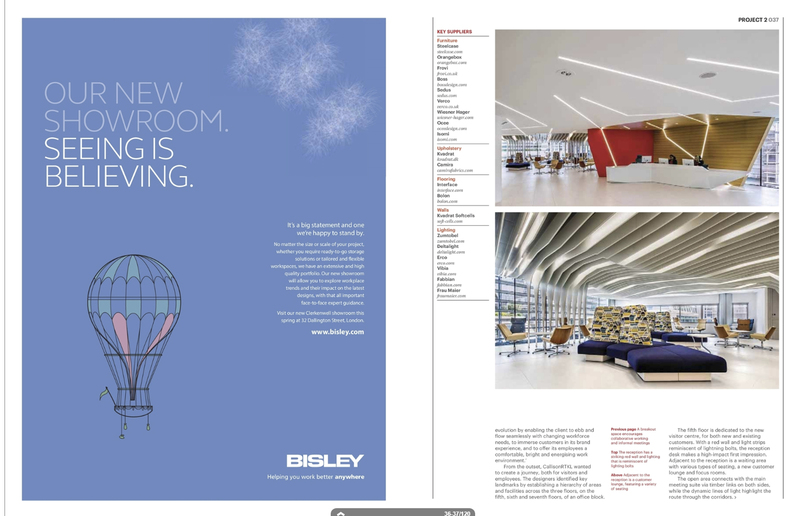 The four page article showcases the London offices designed by CallisonRTKL for a large global tech company. 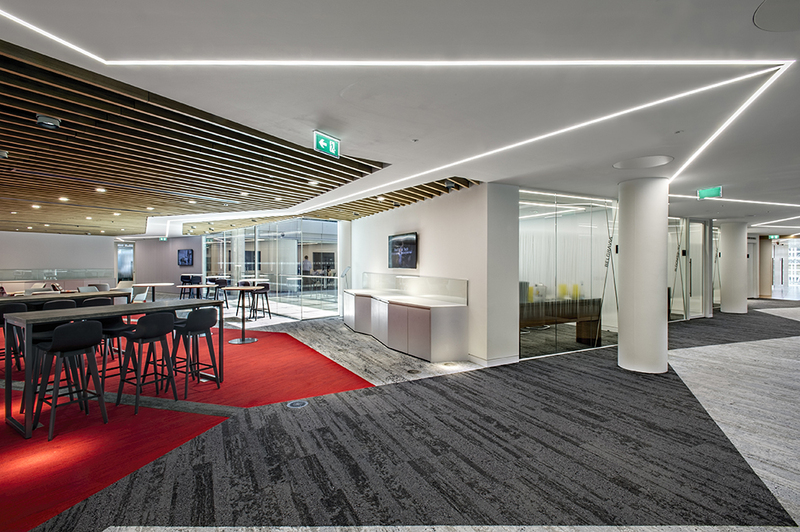 The design consultancy aimed to transform the client’s three floors into a modern, flexible space that would reflect the cutting-edge nature of the client’s brand. 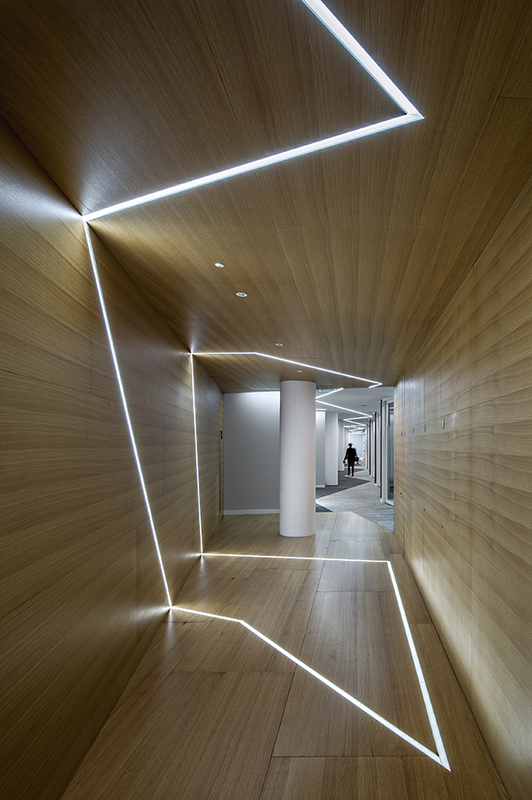 From the outset, CallisonRTKL wanted to create a journey, both for visitors and employees. 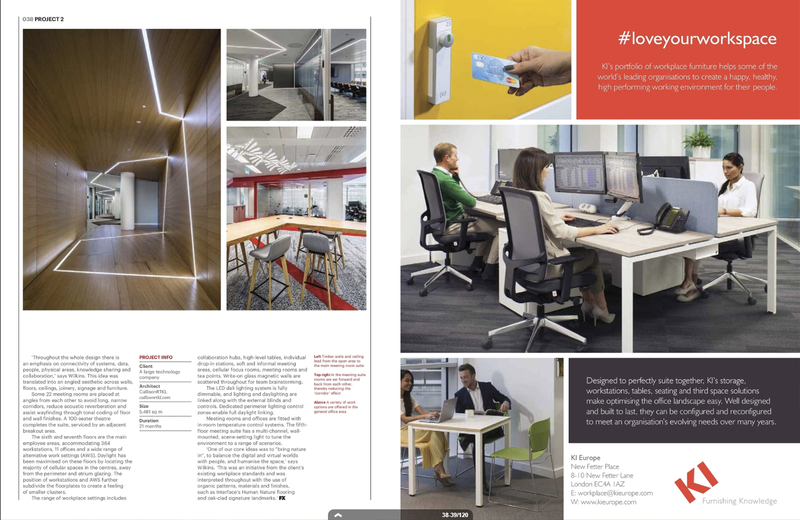 As well as building workstations and creating breakout areas to allow for flexible working and encourage collaboration, the designers’ brief was to create a meeting space for the client’s sales team and visiting customers. The fifth floor is dedicated to the new visitor centre, for both new and existing customers. 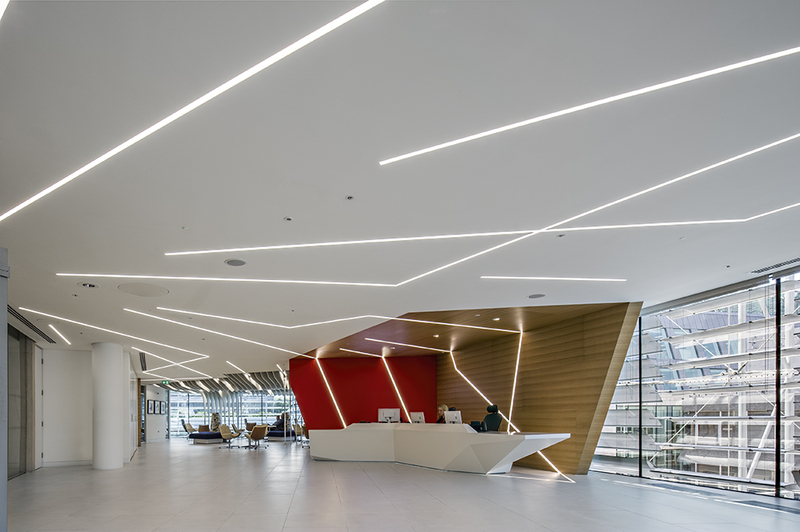 With a red wall and light strips, the reception desk makes a high-impact first impression. 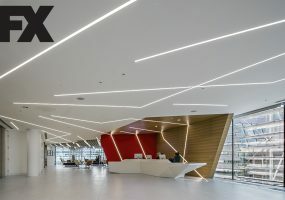 The ‘lines of light’ are a key part of the design concept, being a three dimensional manifestation of the human and digital connections of the business. 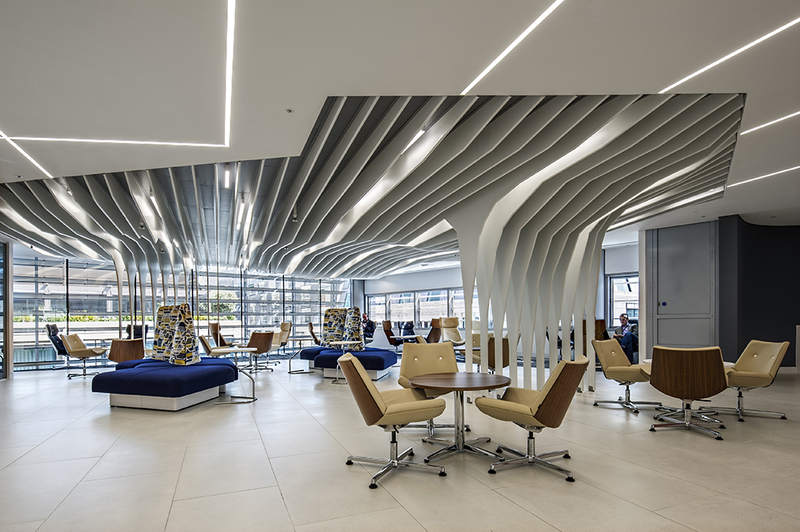 Adjacent to the reception is a waiting area with various types of seating, a new customer lounge and focus rooms. 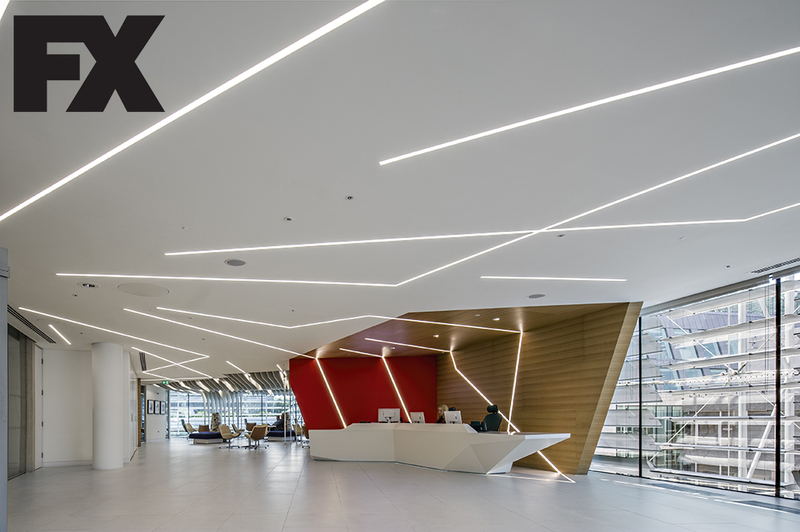 The LED dali lighting system is fully dimmable, and lighting and daylighting are linked along with the external blinds and controls. 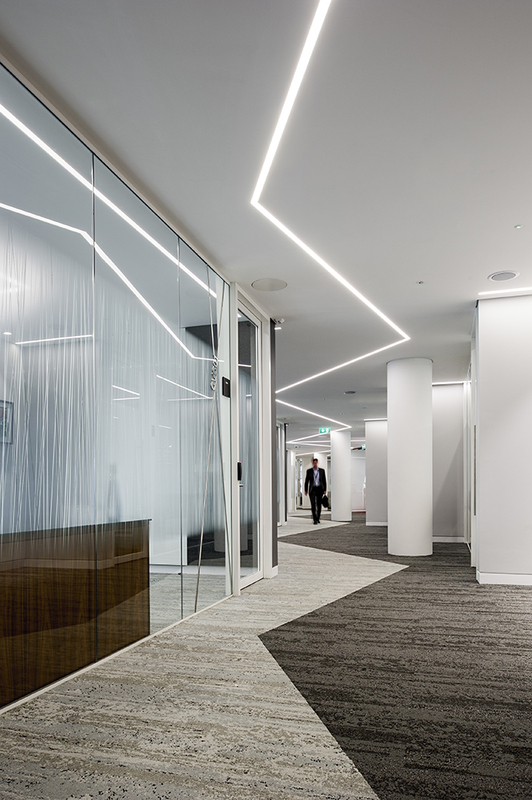 Dedicated perimeter lighting control zones enable full daylight linking. Meeting rooms and offices are fitted with in-room temperature control systems. 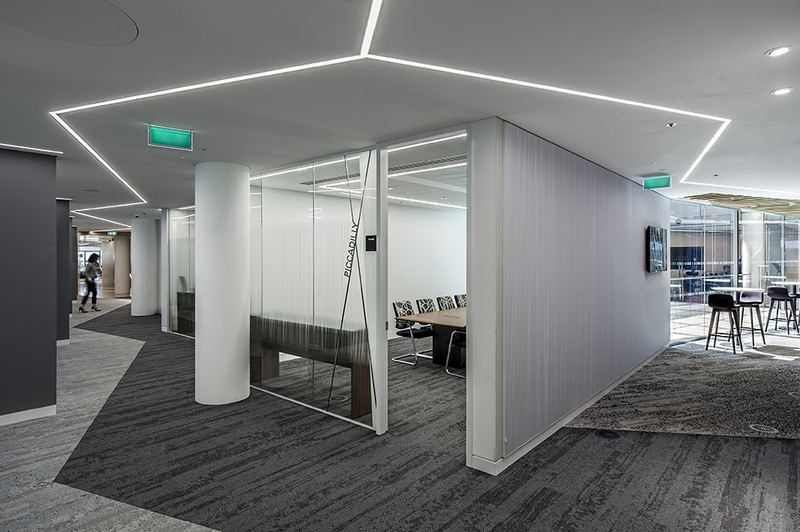 The fifth floor meeting suite has a multi-channel, wall mounted, scene-setting light to tune the environment to a range of scenarios. One of the core ideas was to “bring nature in”, to balance the digital and virtual worlds with people, and humanise the space. This was interpreted throughout with the use of organic patterns, materials and finishes.